This weekend I had to work, again. 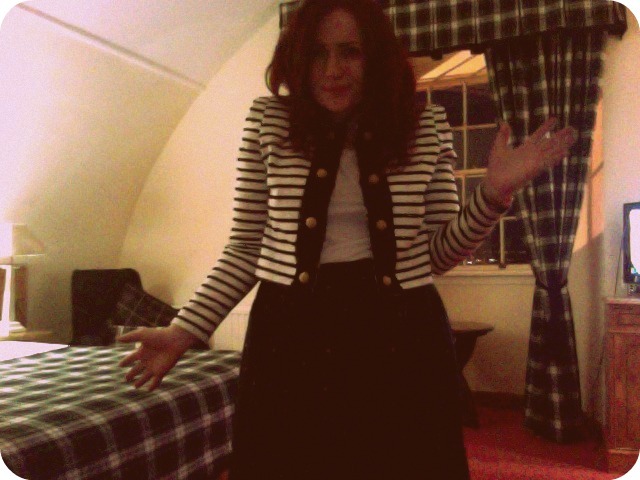 It’s all good though, because a) I got to go Edinburgh and b) I got to stay here in what I think is a serious contender for the most Scottish bedroom of all time – note the bedspread and curtains which I’m handily pointing at above. Tartantastic. 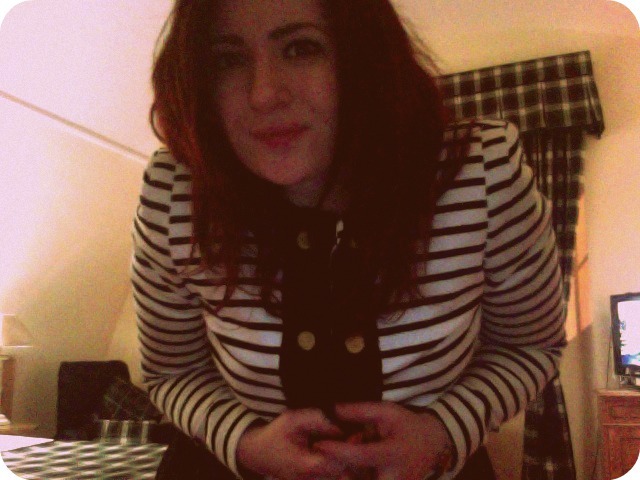 In a bid to look like a serious professional (it fooled no-one), I wore my new Markus Lupfer Alice jacket. I’ve been after this ever since I first spied it; a habit which got increasingly worse the more I saw Alex in it. It makes me feel like I might actually be taken seriously, it has nice shoulders, it has gold buttons. It was a wise investment. Worn with that Topshop skirt and this Topshop t-shirt. Whaaa Rachael, it really is the best. jacket. ever. Great investment, I wear mine with just about everything.